White Wolf : Biker Brings His Dog Along For The Ride In His Own Car. Biker Brings His Dog Along For The Ride In His Own Car. 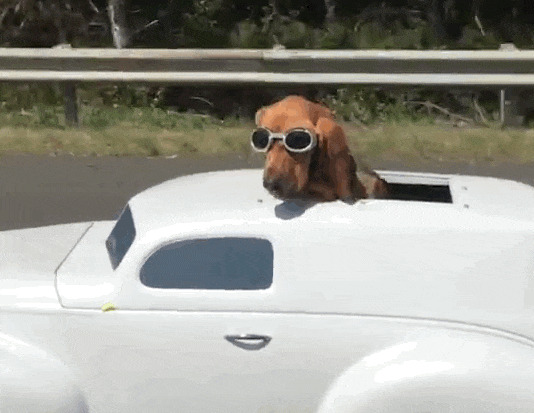 Dogs often stick their heads out of car windows to enjoy a brief feeling of freedom. 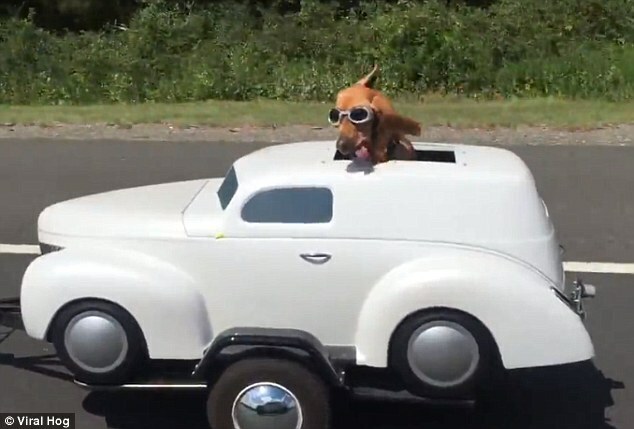 But one pooch from America has found the perfect way to enjoy this adrenaline-fuelled rush of wind on a more consistent basis – by riding in a sidecar alongside its motorbike-loving owner. 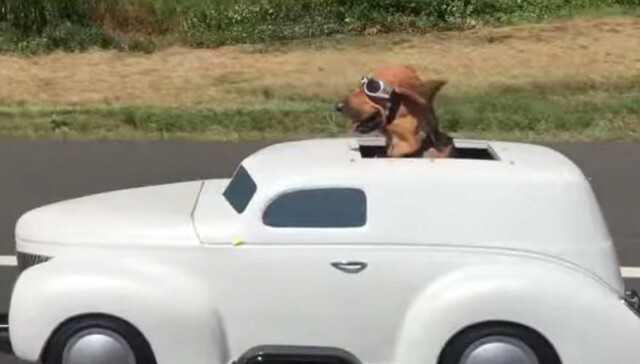 The real-life Wallace and Gromit were captured on camera making their way down Route 78 West in New Jersey, America by a surprised road user. It stares over at the video maker in a pair of bespoke goggles before looking forward and opening its mouth. Later in the clip the dog sticks its tongue out and allows it to blow in the windThe video concludes with the film maker passing the biker and momentarily recording him riding along the road in style. The pair are rather humorously reminiscent of man and dog duo Wallace and Gromit, who ride together in a motorbike and sidecar in animation film A Close Shave. Wallace and Gromit use the bespoke vehicle to assist them in their window-cleaning business – the sidecar has hooks to carry a ladder. Responses to "Biker Brings His Dog Along For The Ride In His Own Car."